Ahhhh intuitive eating. This is such a buzz topic!!!  It's kind of just "normal people eating", but it is defined as nutrition philosophy based on the premise that becoming more attuned to the body's natural hunger signals is a more effective way to attain a healthy weight, rather than keeping track of the amounts of energy in foods. Remember, this is MY experience and MY life. I'm not going to say what method of eating you should follow or whatever because it comes down to what works for you and your lifestyle. I stopped tracking macros this past February. My life stress went way up, and tracking my food by the gram wasn't really a priority for me at this time of my life. It was doing more harm than good in terms of my stress levels, so I stopped. I have a gnarly MyFitnessPal streak and I'd been tracking for like the past 4 years or longer. I'm at the point where I can literally look at the food and tell you what its nutrition facts are. I'm serious. Try me. Anywho - my experience with it has been GREAT. It's hard sometimes, it really is!! I've been weighing myself daily, and it is much easier to do this now because I'm choosing what to put in my body daily based on how I'm feeling and what I know I need. Because of this, I accept the outcome way easier. If I eat a lot of carbs one day and I notice the scale doesn't move or go down, I'm like ok cool!! & it gives me more confidence to eat more when I need to. If I eat food that has a lot of sodium (more than I normally eat) in it and see that my weight goes up the next day, I'm like oh ya that's definitely the sodium! I've really detached my self worth from the scale and I'm solely using it for objective purposes. If I eat a lot of fats one day and not a lot of carbs, I'm probably not going to feel the best because I just don't digest a ton of fats well. In fact, it happened a few days ago. My fats were over 100g and my digestion was like NO THANKS. My body definitely functions/feels best on mod fat/high carb/mod protein. It's basically like learning my body alllll over again and it's fun. I eat nutrient dense foods. Lots of meat, veggies, starchy carbs like potatoes and rice sometimes. I do eat a lot of the same things every day, and I can probably tell you what my macros are if I were to guesstimate or add them up in my head. That's because of the experience that I have with tracking. I truly believe that you need to have a background of tracking your food to some degree for a certain amount of time before you can really "trust" your intuition on what you should be eating. Sometimes my intuition wants a whole cake and a pint of ice cream, but does that mean I should eat it? Prollllly not. This leads to why I don't necessarily like the term "intuitive" eating. The definition of intuitive is using or based on what one feels to be true even without conscious reasoning. I'm a very Type A and logistical person. Since I am this way, I don't do things or believe things "just because". I like to have a reason, or at least something to back up why I'm doing something. I have a HUGE sweet tooth. I just recently gave up ice cream for a month because I felt like I had some lack of control issues with it. It's been great!!! Today marked one month and I don't even crave it anymore. I'm proud of that not just because I took out a bunch of sugar in my diet, but because what it did for me mentally. Ok ok back to the sweet tooth thing - because I have a sweet tooth, my INTUITION wants sweets. Reese's, ice cream, cake, you name it. Does that mean I should eat it because it's what I FEEL like I want? Maybe, but maybe not. See the problem here?? I can definitely have those things, but there needs to be some conscious reasoning going on. I'll need to ask myself why I'm craving sweets. Am I stressed? Have I gone too long without eating? Am I bored or procrastinating? What I probably need to eat is protein, some veggies, and a healthy carb with maybe a fat source depending on what meal it is. That will satisfy my hunger. Sweets would only satisfy my brain, make me feel good, and give me a hit of insulin to bring cortisol back down if I'm stressed. If I had to call intuitive eating something else, I'd probably call it mindful eating or something like that because I am using reasoning and knowledge that I have learned from tracking my food for so many years. I'm not just solely going off of intuition. If tracking is stressing you out right now, I'd HIGHLY recommend taking a week off and trying some mindful eating or whatever you wanna call it. If it scares you to stop tracking, that's even more of a sign that you should take a step back for at least a week and try just eating normally. Your body knows what to do with food and you will not "get fat overnight" just from not tracking your intake! For the most part, I am a macro based nutrition coach. Some of my clients don't track but a majority of them do. I believe in it 100%, but I also believe that it's not for everyone and as a coach, it's my job to find what works best for you and your lifestyle and what you can ultimately be consistent with and have success with. I think it's absolutely necessary to track a little in the beginning at first or at least pay attention to nutrition labels so you can understand what makes up certain foods. Then you can use that knowledge moving forward without tracking every single thing. Please feel free to ask me or DM me any questions about this. I would love to answer them!